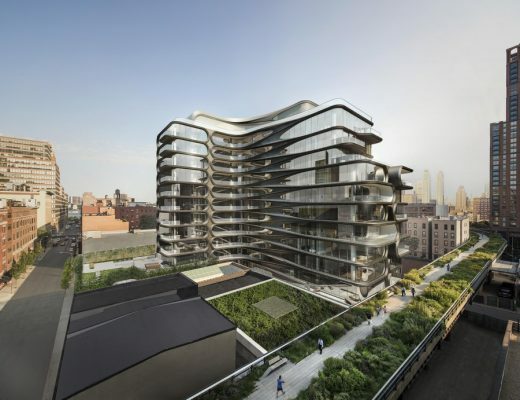 In summer 2015 Tishman Speyer was reported to be in contract to buy the Hudson Yards District development assemblage at 434-444 Eleventh Avenue and 550 West 37th Street, located between West 36th and 37th streets. 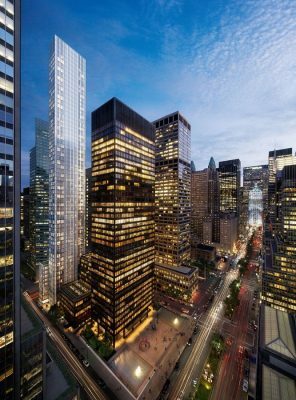 Real Estate Weekly reports the developer has closed on the purchase of 434-444 Eleventh for $163.5 million. 550 West 37th Street sold in a different transaction at an undisclosed price. 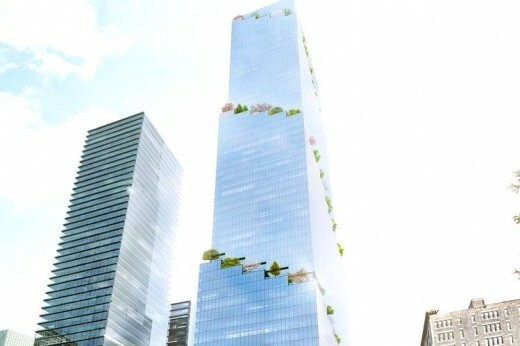 Plans for the site call for a 1.3-million square-foot office tower. The exact height of the building and the design architect is currently unknown. 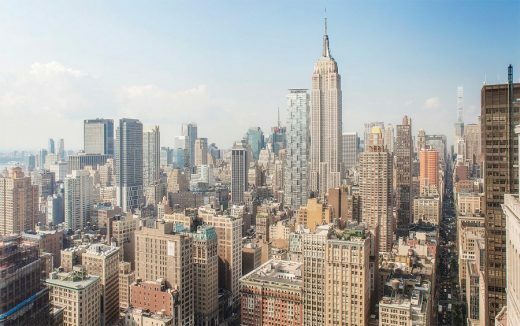 The city center site could accommodate up to 1.7 m sqft of development if the maximum number of air rights are purchased. The site is vacant, with the exception of a single-story commercial property at 550 West 37th Street. 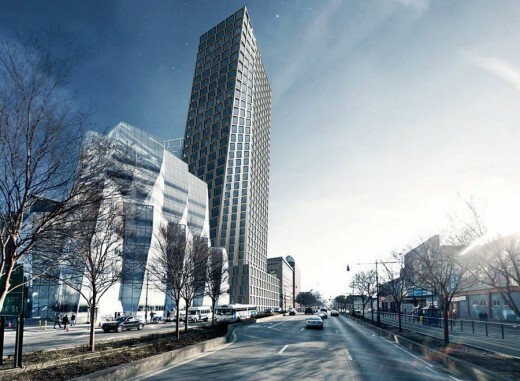 The two single-story buildings at 446-552 Eleventh Avenue are not (yet) part of the Tishman Speyer assemblage. 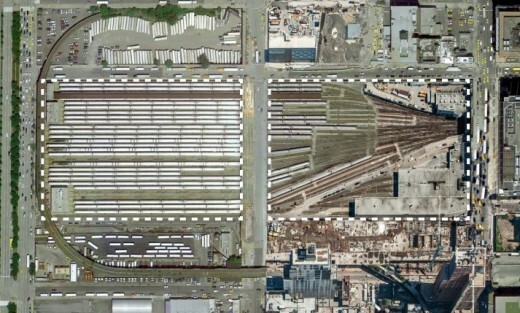 In April 2014, Tishman Speyer acquired a full-block assemblage stretching from West 34th to West 35th Streets and from 10th Avenue to Hudson Park and Boulevard. 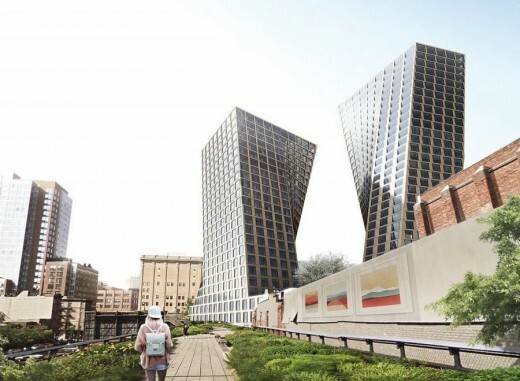 The firm recently unveiled Danish architect Bjarke Ingels’ innovative new design for that 2.85 million square foot office tower, known as The Spiral (pictured below). 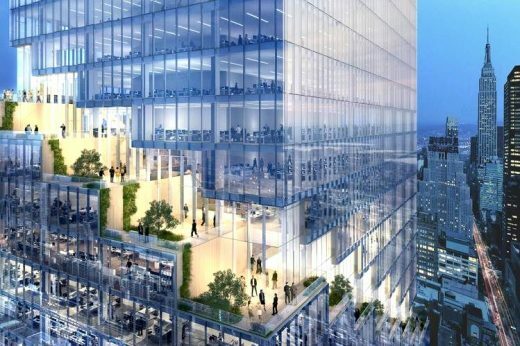 Website: 66 Hudson Boulevard Tower New York City – news article in Wall Street Journal.